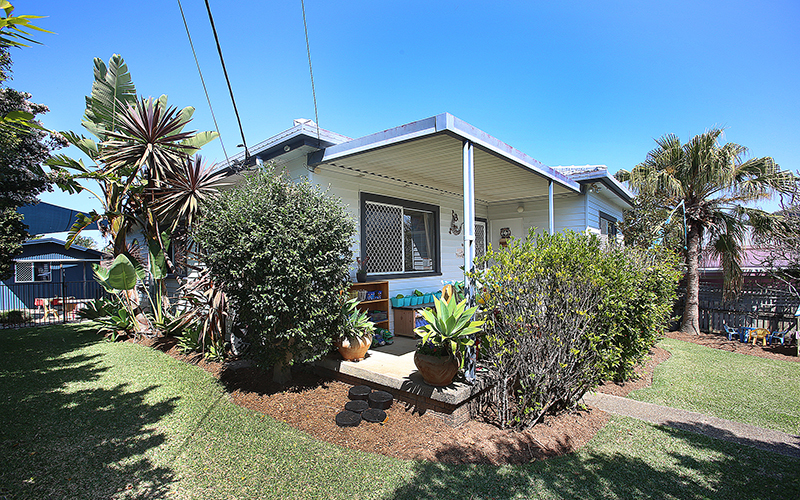 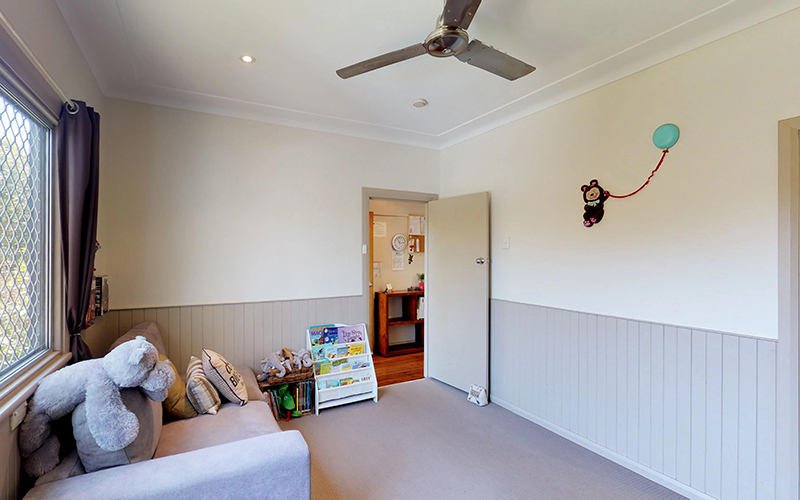 In this elevated corner block location with a picturesque scenic outlook, behold this charming character home, with its rich polished timber floors and high ceilings inside an ultimately private fully fenced yard. 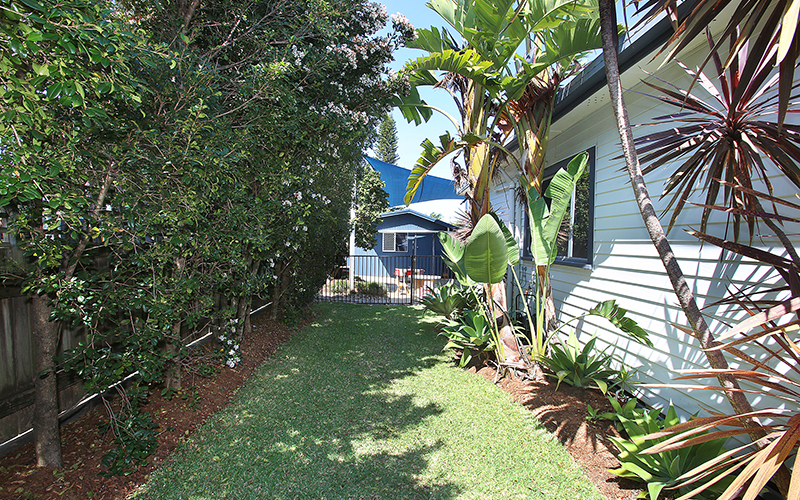 From the front porch, look out past the established frangipani trees, a great place to take in the mountain backdrop, in the warmer evenings to come. 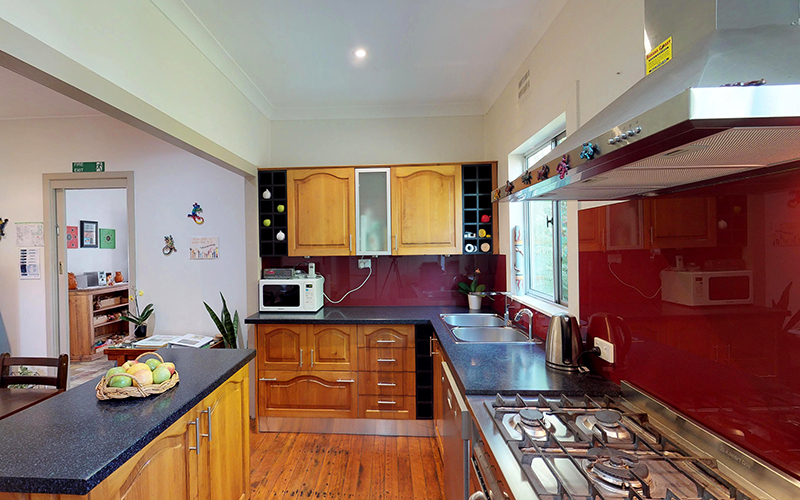 The warm hardwood timber flooring spans the width of the home throughout the open plan living, dining and kitchen. 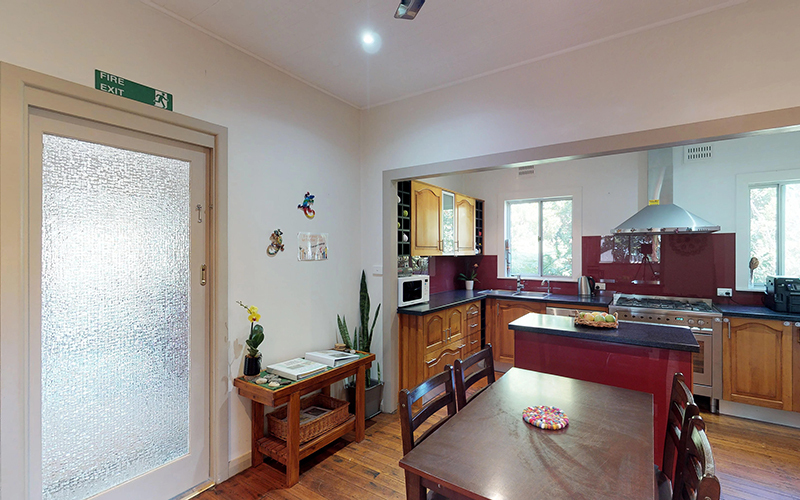 The modernised kitchen features a large stainless freestanding Ariston gas cooktop and electric oven with canopy rangehood; the envy of any chef, a dishwasher and generous pantry cupboard. 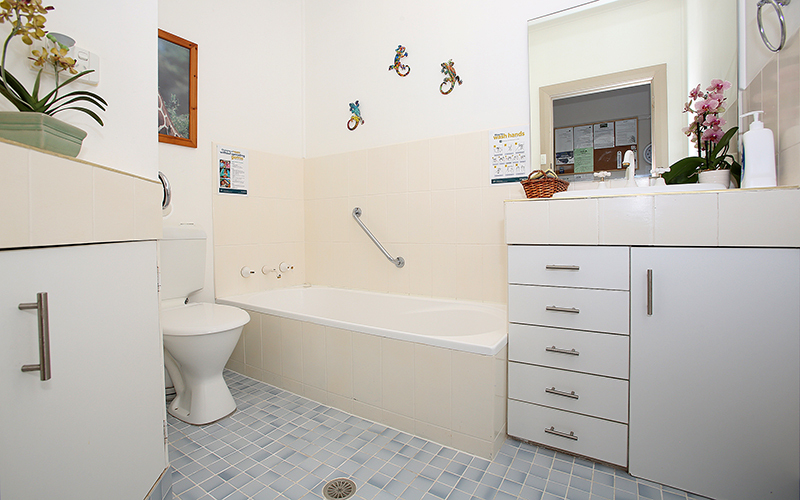 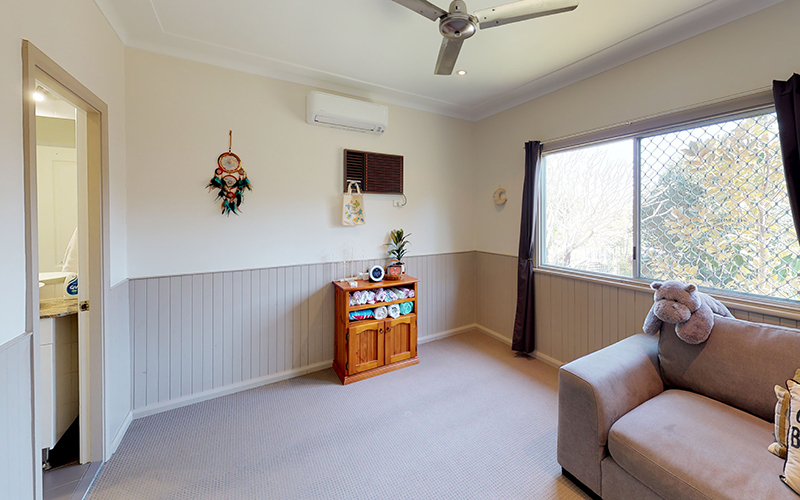 The main bedroom provides a renovated modern ensuite and second and third bedrooms each have a bathroom close by; one is inclusive of the laundry. 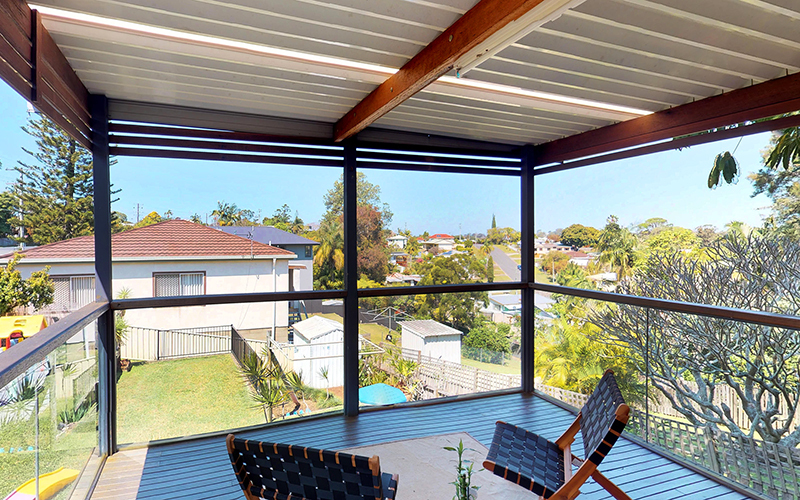 A second living room with a wall of windows encompasses the beautiful trees outside and leads through to the all-weather alfresco entertaining deck with its outdoor kitchen. 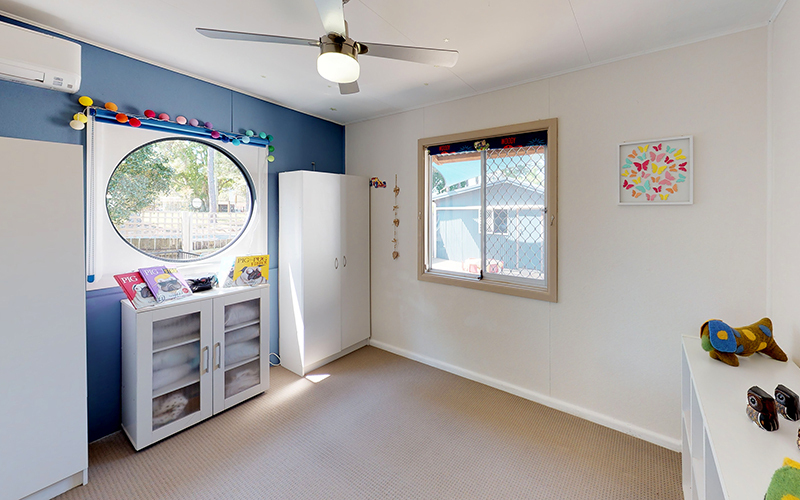 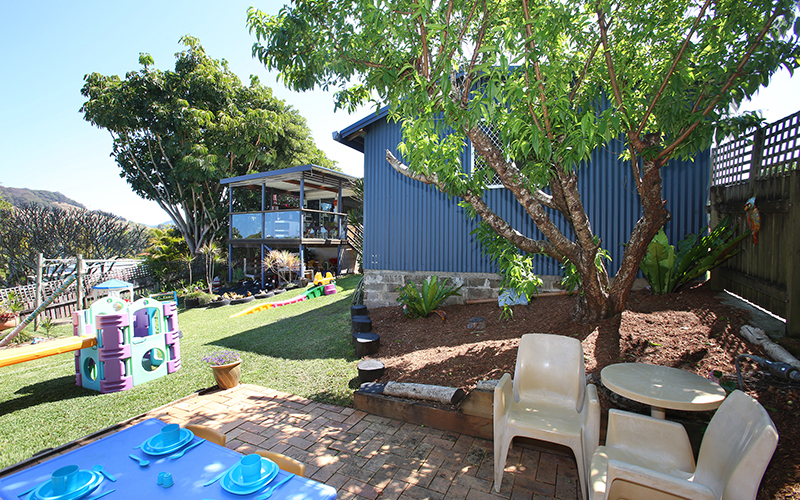 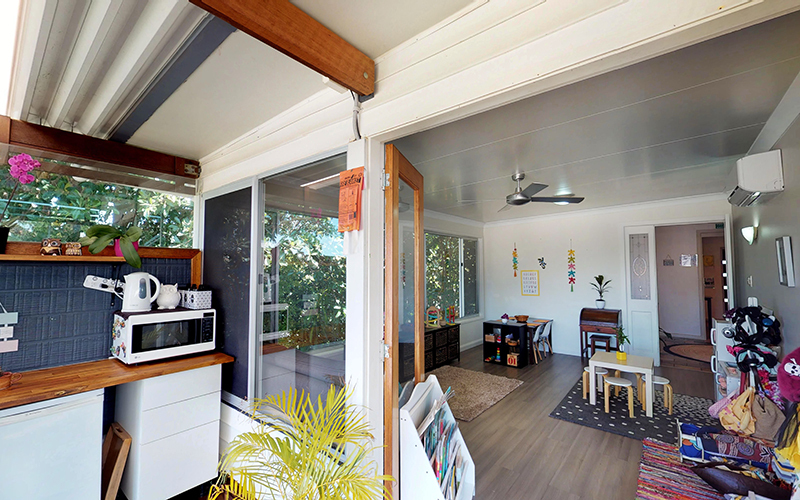 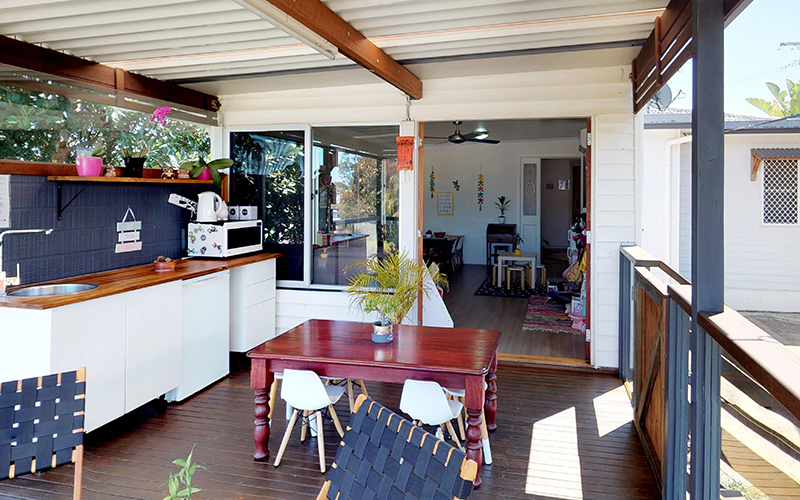 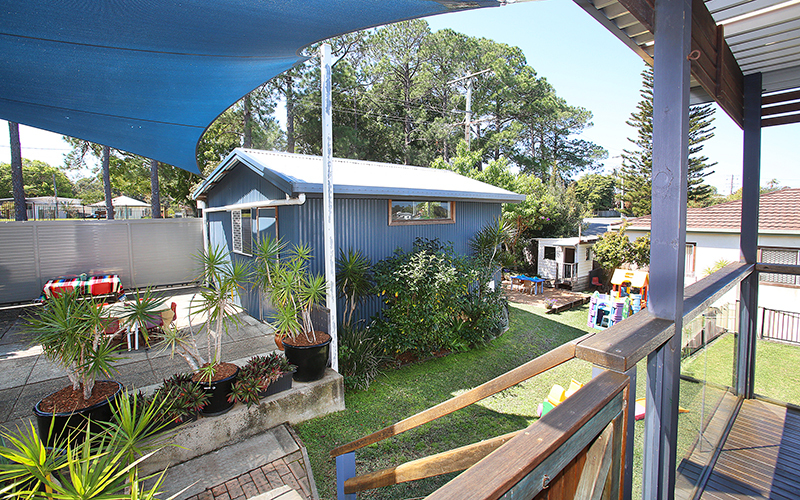 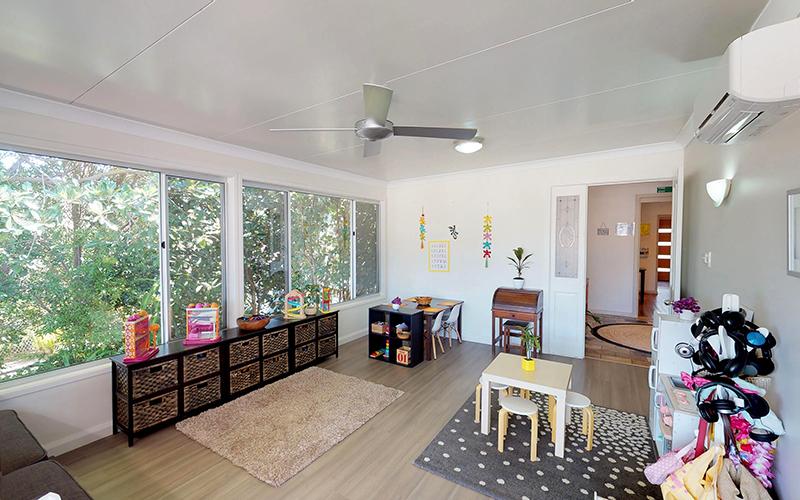 This looks over the usable child friendly-backyard with its cubby house and sand-pit. 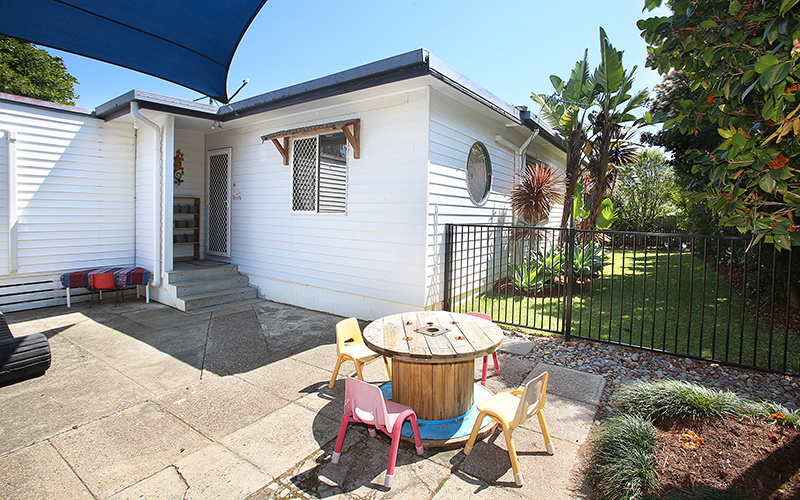 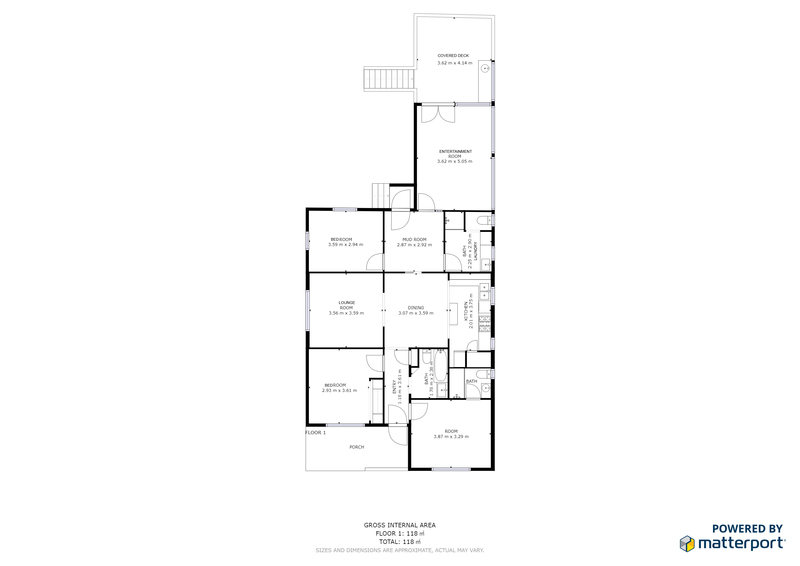 A freestanding separate fully lined and powered large studio in the side yard, offers the opportunity to work from home or use as a teenage/parent retreat. 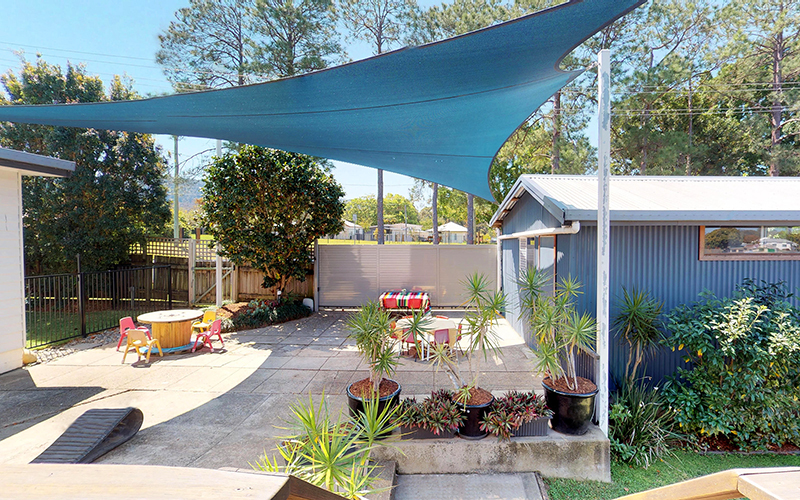 Additional features include: fans throughout, 4 x air-conditioners, security doors, security screens, remote control secure gate access and secure parking for two cars under shade sails. 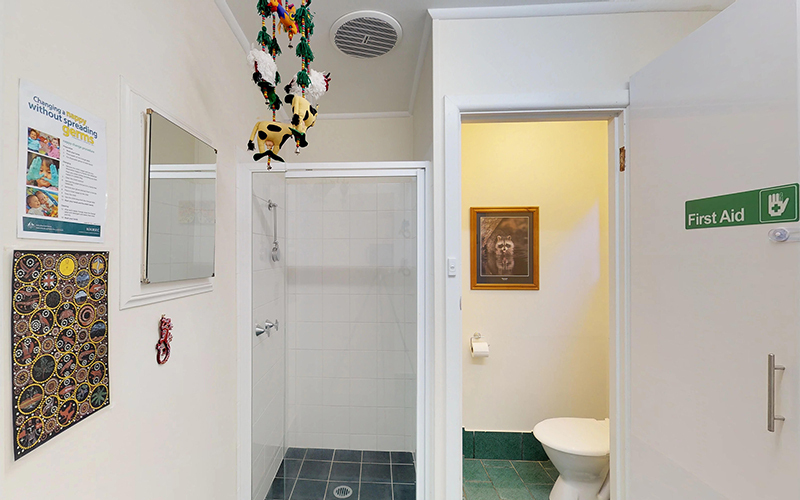 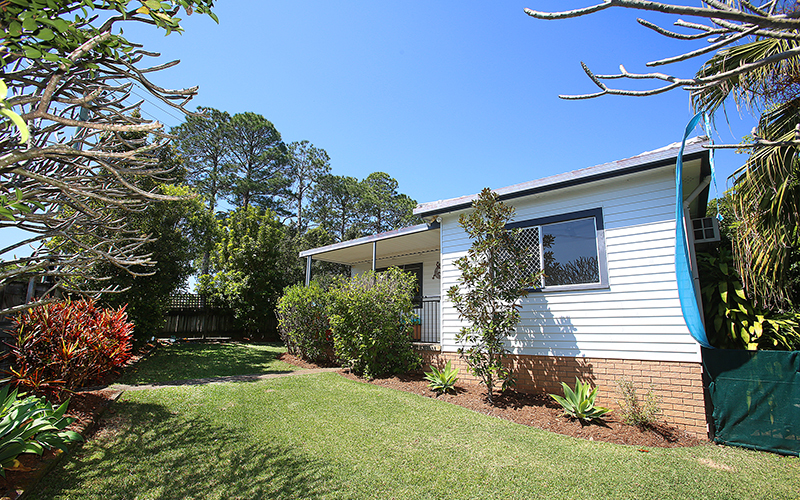 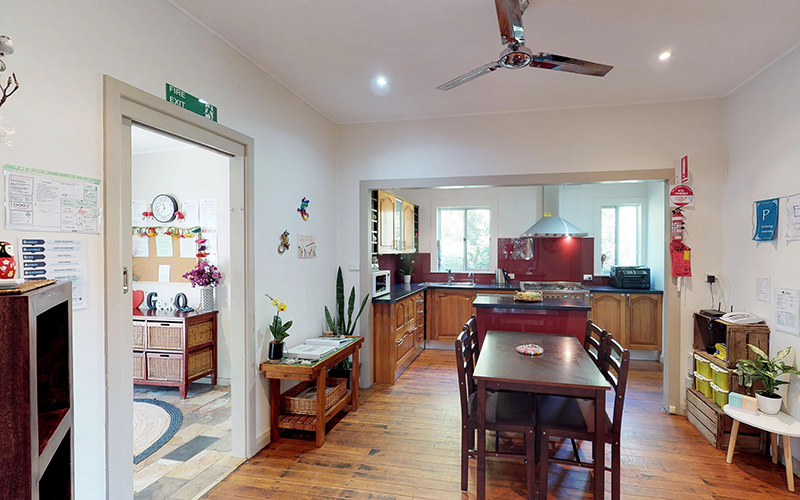 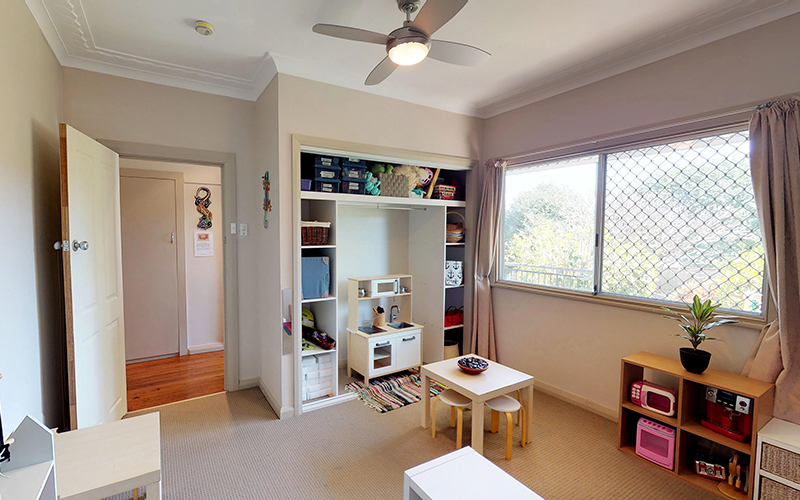 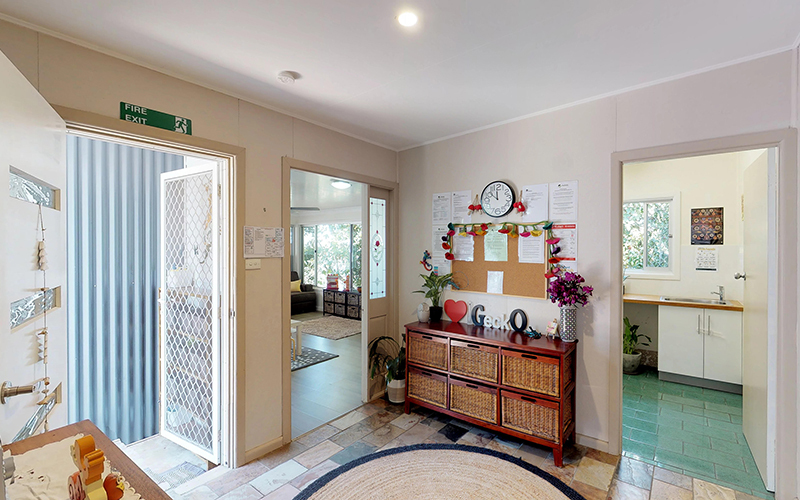 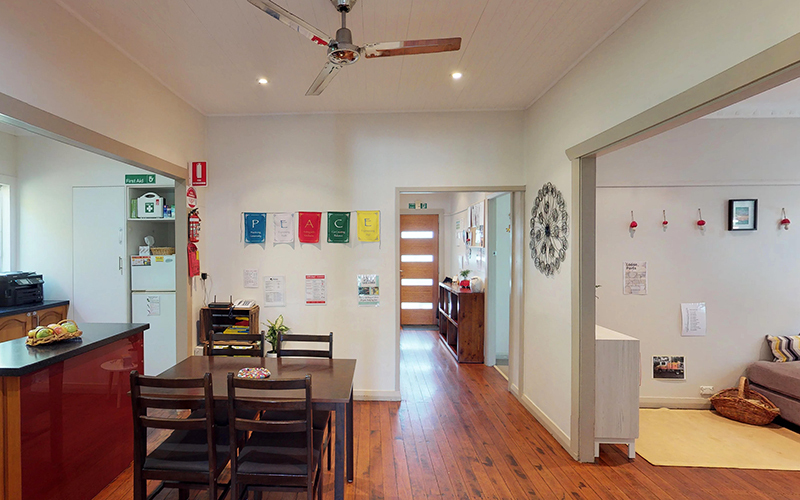 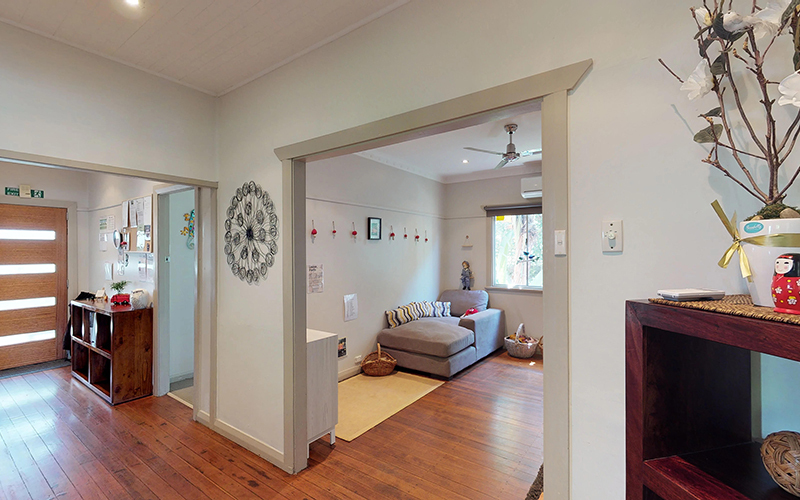 Located under 2kms to the CBD, zoned for Narranga Primary and with the added bonus of a secure fenced children’s playground and park right across the road, this home would suit a young family or those wanting the opportunity of running their business from home.